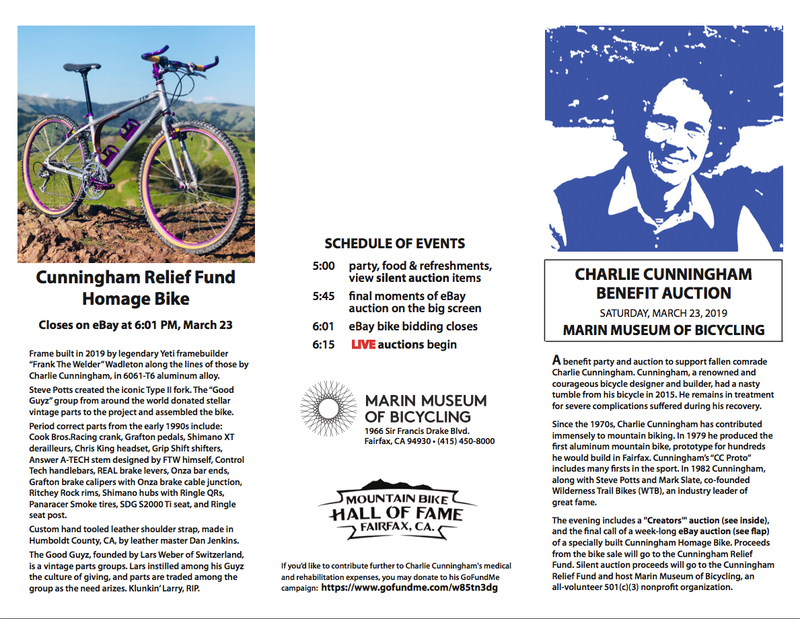 On Saturday, March 23rd, from 5-7 PM, the Marin Museum of Bicycling, home of the Mountain Bike Hall of Fame, will host a benefit to support fallen comrade Charlie Cunningham. The evening will include a silent auction, and the final call of a week-long eBay auction of a specially built Cunningham Homage Bike. Click here to see the auction listing. Proceeds from the bike sale will go to the Cunningham Relief Fund. 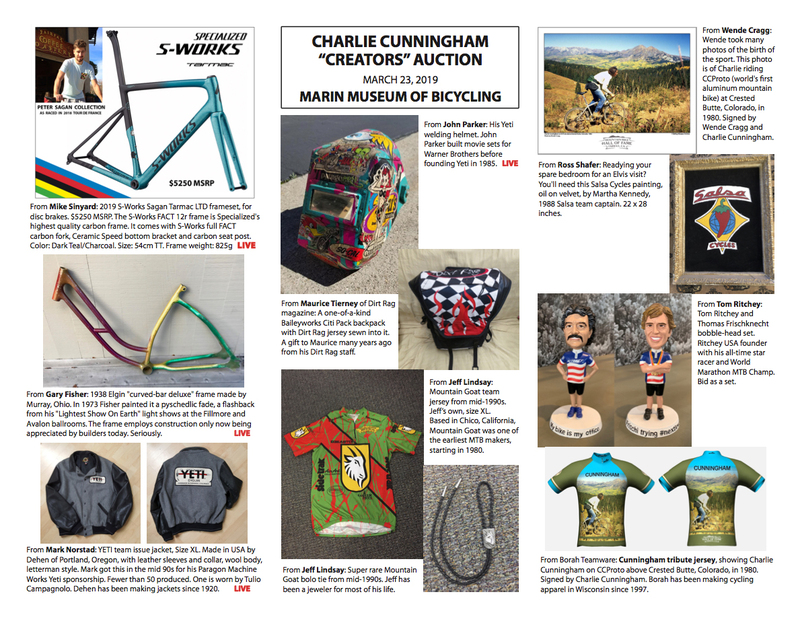 Silent auction proceeds will be split evenly between the Cunningham Relief Fund and host Marin Museum of Bicycling, an all-volunteer 501(c)(3) nonprofit organization. Several Mountain Bike Hall of Fame inductees plan to attend. Click here to buy tickets for this important event. If you can’t make it but want to chip into the fund, click here. Below is a copy of the auction catalog.